If you've heard the hype around hygge (pronounced "hoo-guh"), you know that it's all about the Danish-approved concept of ultra-coziness. 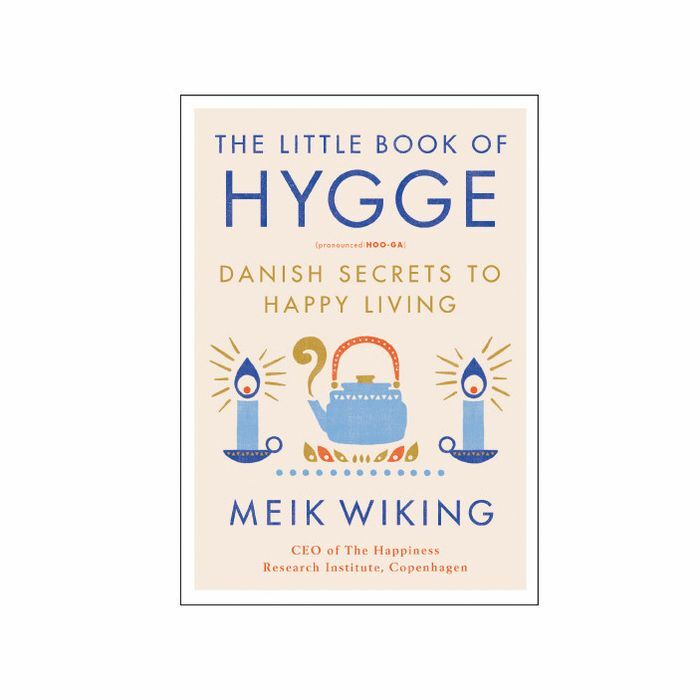 "The true essence of hygge is the pursuit of everyday happiness, and it’s basically like a hug, just without the physical touch," says Meik Wiking, CEO of The Happiness Research Institute and author of The Little Book of Hygge. "Some of the key ingredients are togetherness, relaxation, indulgence, presence, and comfort." That's right—there's no time like the present to stock up on all things cozy and forgo your phone for cuddling, candlelight, and cocoa. But bringing hygge into your closet and style might be the most intriguing way to embrace the trend. Because while you can't travel with a cozy throw or soothing scent, you can adjust your wardrobe to incorporate hygge, which can help alleviate even the most stressful situations. For Wiking, bringing hygge into your wardrobe means embracing bulky "but never sloppy" knits, including one crucial piece in particular: the scarf. "While it is predominantly for the winter, people suffering from scarf withdrawal symptoms have been observed wearing scarves in midsummer. The golden rule is the bigger, the better. So pile that stylish, thickly wrapped scarf on, just one step short of risking neck injuries," he explains. When it comes to shopping for those pieces that will add that extra dose of cozy to your life, Wiking notes the importance of linking purchases to good experiences. His tip: splurge on something that brings hygge to you, "that way every time you wear that special sweater or pair of shoes, you’ll be reminded of that happy memory." And as for your closet, it's less about clutter or organization and more about the mood of your space and how you interact with your clothes. Topping his list of important closet elements is lighting. "You want to aim for a warm, soft, diffused light, like during the golden hour. … Hygge lighting is better than an Instagram filter." The other keys to a great closet: "Add some natural elements, textures, and maybe even a chair," Wiking says. "Hygge is about being kind to yourself and relaxing." Read on for a breakdown of Wiking's three big tips, and then shop pieces to help you bring hygge to your wardrobe! A combination of hand-knitted wool sweaters, jumpers, cardigans, or pullovers on top, and black leggings or skinny jeans will give you the balance between hygge and fashion. Save for a splurge item—but wait until you have that really hyggelig experience before you buy it. Instead of focusing on organization, to maximize hygge in your closet, focus on lighting. This cozy sweater will keep you warm all winter. Take Wiking's advice, and style bulky knits with skinny jeans. Now this is a serious scarf. Lace-up details make this sweater feel extra special. You'll never catch cold with this beanie. Embrace coziness with this pinstripe scarf. Mix comfort and style with this sleek coat. Leggings will keep you feeling snug. A turtleneck is the ultimate cure for the chill. Pretty sleeve details make a standard sweater feel oh-so-special. Want to know more about hygge? Here's how to bring it into your home!